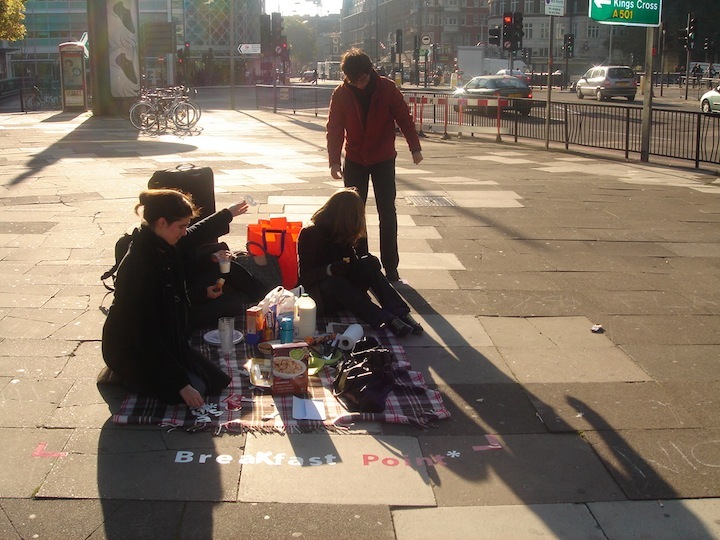 Breakfast Point explores social capital, the pattern and intensity of networks among people and the shared values which arise from those networks. While definitions of social capital vary, the main aspects are citizenship, neighbourliness, trust and shared values, community involvement, volunteering, social networks and civic participation. 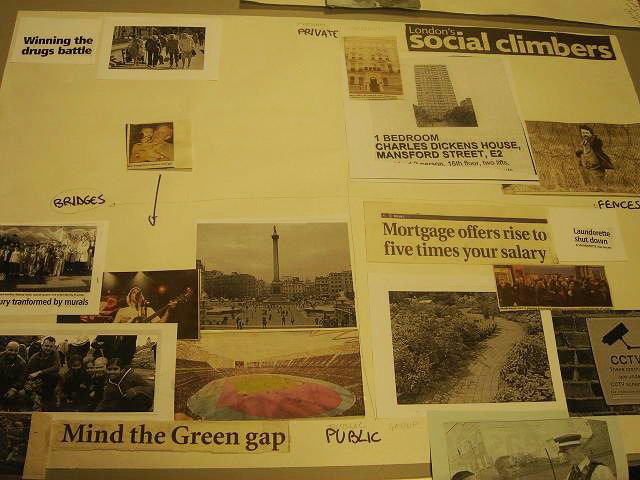 Keeping in mind ‘bridges and fences’, we created a bridge between the public and private, pushing aside the fences. 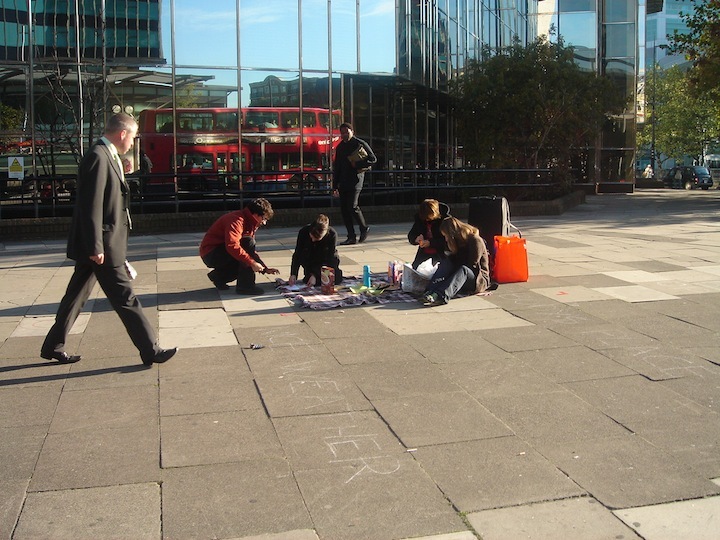 By breaking the routine of this particular space, we tried to form a place for interaction. It is not just the presence of people that converts a space into a place but the trust with which they interact with one another. Though a temporary place, the idea was to build trust among people to interact and feel each others presence. 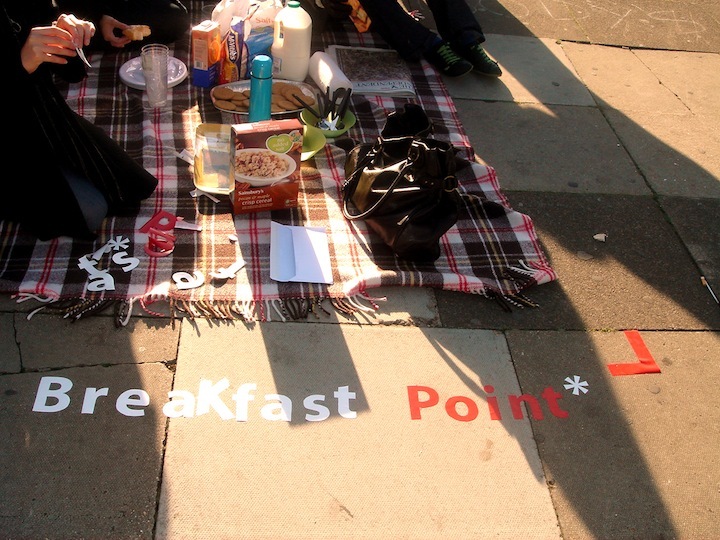 From a walking ramp to a breakfast point Euston Road experienced a variety of activities and interactions.